Carwyn Cellars is a name that every Australian Craft Beer lover should know. It's one of, if not the, preeminent bottle shops in the country. 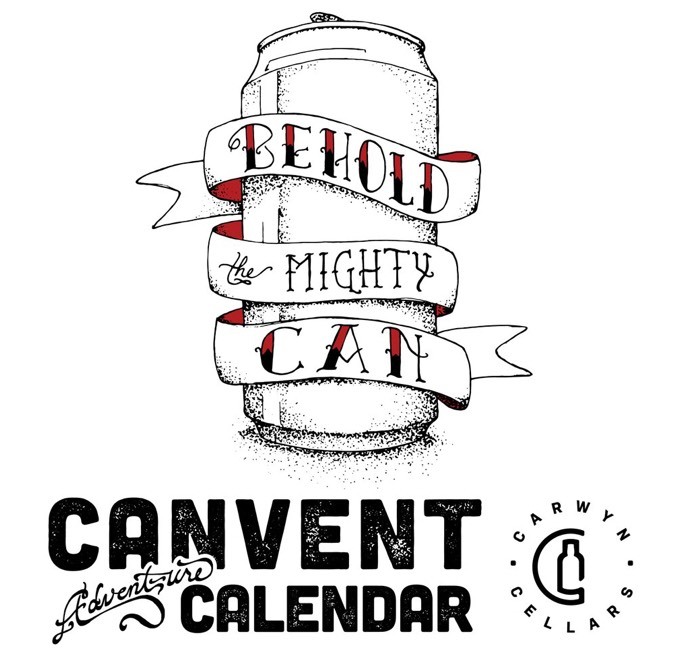 For their advent calendar, they've partnered with 24 Australian Craft Breweries to make an exclusive canned release for their "Canvent Calendar". I'm not 100% sure why I didn't document my BrewDog Advent Calendar this time last year - I wonder if it got lost with moving in and recovering from surgery... In any case; I'm not going to make the same mistake this year! The Carwyn Canvent Calendar is going to get the full treatment - and with any luck you'll have updates every 5 days. In the interim, let me know what Advent Calendar you've got this year and your initial thoughts on it so far. Day 1 - 3 Ravens Juicy Brut - First up we had a really interesting offering from 3 Ravens. 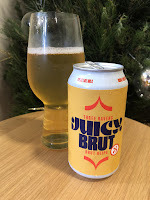 Juicy Brut is billed as a Brut NEIPA. 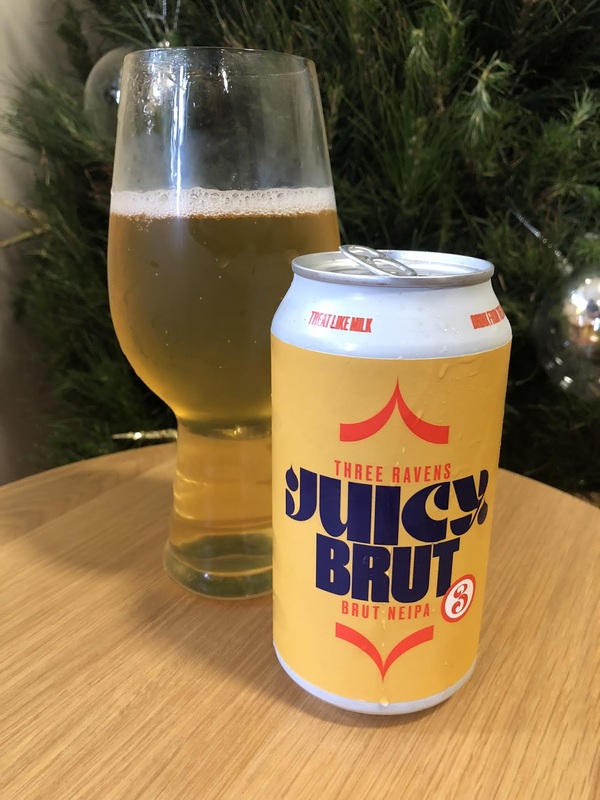 From my understanding they've taken the juiciness from a NEIPA and utilised the enzymes and filtration more common to the Brut IPA style to come up with this beer. The beer is crystal clear and has a very short lived white head. The first thing I noticed was the nose, which smells exactly like a piece Juicy Fruit gum.There is plenty of fruit up front, before a bone dry finish kicks in. I don't think I've ever had a beer that finishes as dry as this one does! Something I didn't notice is the 8% ABV! 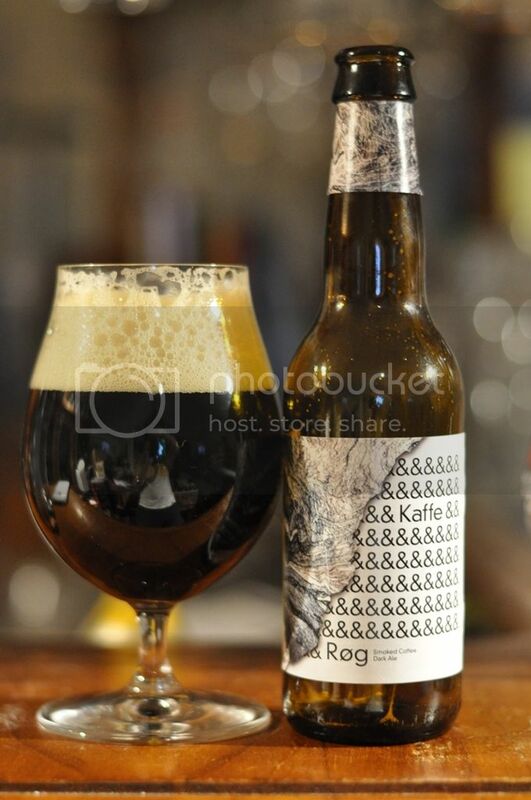 It's dangerously well hidden in such a smashable beer! 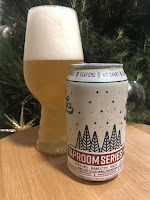 This is the first Brut IPA to really grab me & I wondering if it's because of the additional fruit that this one packs; the dryness really suits it! Day 2 - Kaiju Mutation Program Main Squeeze - Day two saw the boys from Kaiju step up to the plate. Their beer is a Session Ale packed with Guava & Passion Fruit that comes in at 3.2%. There's not a lot of information out there about this beer yet, however the #0001 on the back of the can gives me hope that they may be releasing more experimental stuff in the not too distant future! Up front I get a big whack of passionfruit, which has a bit of tartness about it. There's limited Guava, although this is probably to be expected - as I don't think it'd be particularly easy to brew with. The beer would go down beautifully on a stinking hot day! 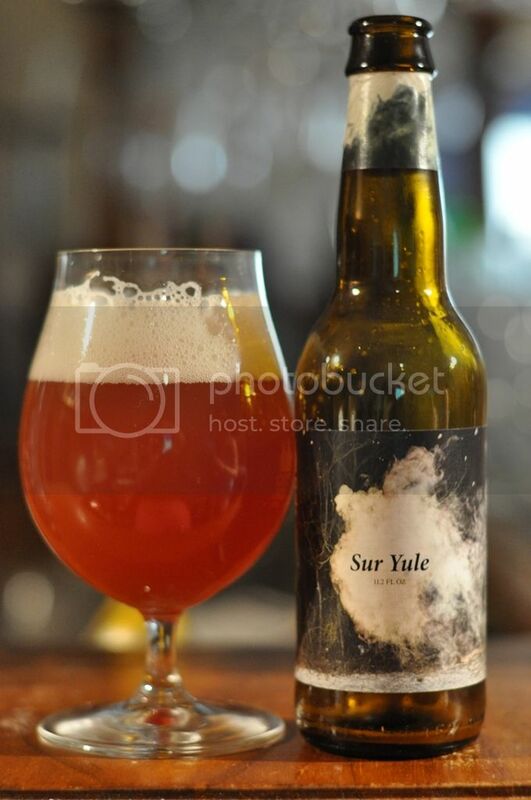 For 3.2% they have packed a lot of flavour into this little beer. Day 3 - Mr Banks Sticky Bandits Hazy IPA - It was inevitable that NEIPA's would play a significant part in the Canvent experience. I'm glad that Mr Banks is one of the brewers to take on the style. Mr Banks is based in the outer Melbourne suburb of Seaford and are producing some consistently excellent stuff. Sticky Bandits is no exception! This is a superb beer! 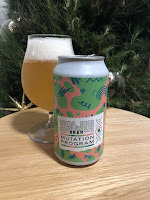 The first big tick is that they've produced an Australian NEIPA that is actually hazy! The second big tick is the wonderful aroma & taste of tropical fruits! While finally, it doesn't pack that unnecessary bitterness that many Australian examples tend to. All-in-all a superb beer and one that I hope they release again! 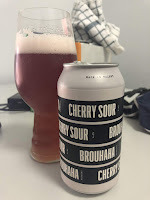 Day 4 - Brouhaha Cherry Sour - As you may be able to tell from the picture, I'm not going to be at home for the next couple of days. Never fear I enlisted Lizzie's help to ensure I could get this post up on time. 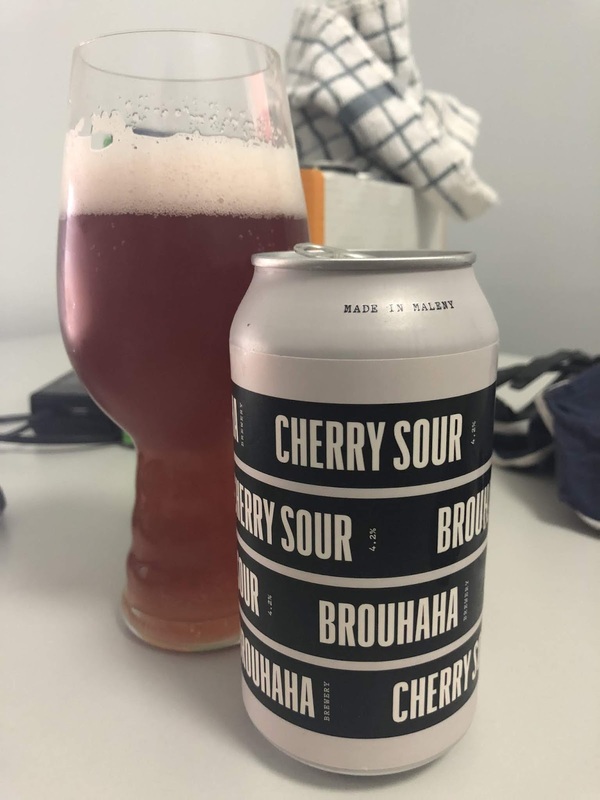 Day 4 brought a 4.2% Cherry Sour from Brouhaha in Maleny, QLD. I've heard quite a lot about these guys, but this is the first beer I've had from them. 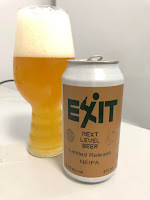 Day 5 - Exit Next Level Beer - I'm a self confessed Exit Brewing fan-boy - there's simply no point hiding that fact. These guys burst onto the scene in 2014 and haven't looked back since. I was shattered when I couldn't try their 4th Anniversary Beer "Better Late Then NEIPA" earlier this year and am so pleased that I get the opportunity to try an Exit NEIPA now. I may have waxed lyrical about the Mr Banks NEIPA above, but this is even better! There is so much to like about this beer. There is so much pineapple, mango and even citrus notes on top of really well rounded base beer. There's perceptible bitterness, although it certainly doesn't feel out of place in this beer. Please, please, please Exit; brew this beer again! 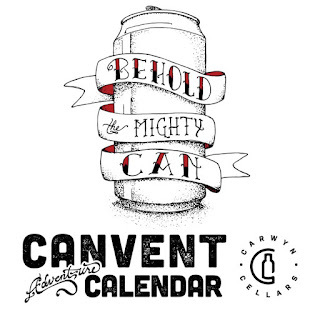 Five days in, I'm so glad that I've stumped up for the Carwyn Canvent Calendar! All five beers are beers that I would happily buy again if they were to be reproduced down the track. As expected Victorian breweries are well represented, with four of the offerings so far from Carwyn's home state. It will be interesting to see if that changes as the Canvent continues. I will say that I think this is a wonderful example of the state of Australian craft beer; long may it continue to improve!